Laibach's last proper full-length foray into the studio produced the incendiary 'Volk' in 2006. An album that playfully de-constructed the nationalist identities of a variety of countries through pop restyling of their respective anthems. It's this kind of avant garde approach to both politics and music that has cemented the Slovenians into the public consciousness. Fast forward a few years and the collective have since scored a film in the form of Iron Sky , performed at the Tate Modern in London and even being invited to play in the People's Republic Of China. It seems that in 2014, the controversial group that were once banned in their home country have well and truly solidified their subversive presence. Sharing it's title with the fictional terrorist organisation from the world of James Bond, the band's latest studio album, 'Spectre', marks a renewed attack on the political status quo. The album begins almost exactly where 'Volk' left off. 'The Whistleblowers' is a new anthem for political dissidence in the 21st century with it's martial rhythms giving way to classic Laibach high-camp Wagnerian pop that recalls the likes of 'Gerbut Einer Nation' and 'NSK'. This is promptly followed by the darker electro-industrial of 'No History' which makes excellent use of Mina Špiler's vocals as a counterpoint to Milan Fras' sinister growl. Whereas, 'Americana' and 'Eurovision' for all their dark electronic allure, subtle melody and enticing rhythms show that the band still brim with the sinister fire that gave rise to tracks such as 'Brat Moj'. The likes of the revolution flaming 'Eat Liver!' and the corporate monster-baiting 'Bossanova' are frantic up-tempo rhythmic assaults that hark back to the band's 'WAT' era. The album's outright centrepiece though, is the 80's synthpop tinged degenerate ode to blitzkrieg that is 'Resistance Is Futile'. A self-referencing anthem it its own right, this dramatic and unrelenting piece will no doubt prove to be a lasting favourite in the band's live arsenal. The album's closer 'Koran' treads in dangerous territory by virtue of it's title alone (just as 'Anti-Semitism' did on 'WAT'), however this sumptuous ballad is a haunting and thought provoking exclamation point, with Fras cynically stating “Words are nice” in response to Špiler's hopeful and idealistic opening declaration of “I believe in a better world”. 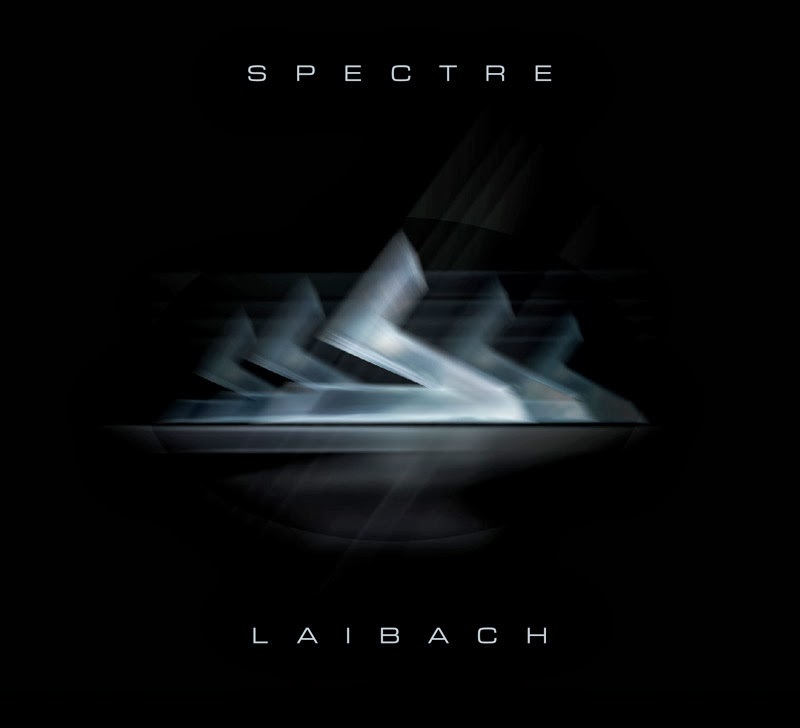 The musical intelligentsia may have caught up with Laibach's seditious ambiguousness thirty years after it was put into motion. But they are by no means part of the establishment. The groups polemic stance will always be at odds with the mainstream. But the band's talent for blending sheer musical prowess and provocative concepts means that they’re as just as relevant in the second decade of the 21st century as they were during their conception at the height of the cold war. The world may change around them, but Laibach will always be there to show society it's own reflection... whether society likes it or not.